Craftsman Glass Limited is one of the leading manufactures of Traditional hand crafted Leaded Lights in East Anglia. 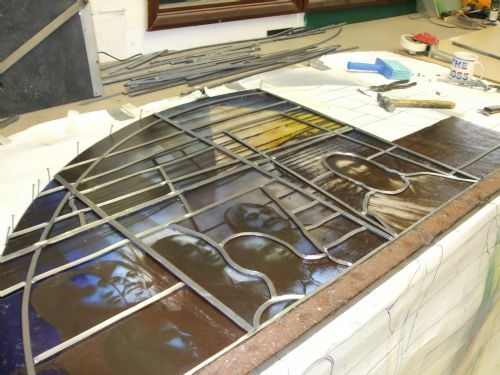 We specialise in the restoration and refurbishment of all types of stained glass and leaded lights. We work on Churches, listed buildings, and public houses as well as more modern buildings such as hotels and schools. All our work is carried out by time served craftsmen and you can visit our leaded light studio to see your work being manufactured . We carry full liability insurance and the windows we remove are insured both in transit and in our workshop and treated with respect until the restored panels are re fitted on site. 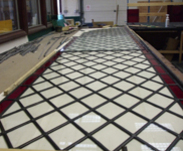 Leaded Light manufacture is a very skilled job, every window we make starts with a full size drawing and all the glass is selected and cut by hand. We dont use any machines or grinders to cut the shaped glass it is all done with a simple glass cutter and a wealth of experience. Click here to contact us for further information.. There is about 12 different sizes of lead, each one is used to make up the design and add to the overall effect of the finished panel. We also stock stained glass materials for those who want to have a go themselves. 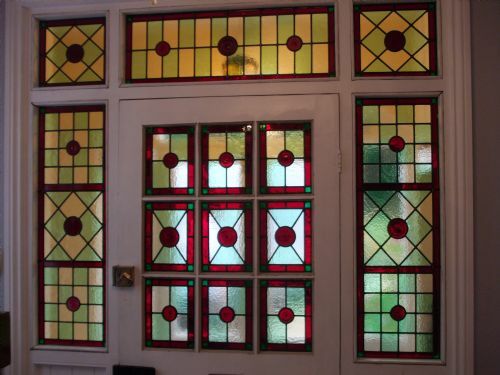 The owner of Craftsman Glass Paul Knight has been a Traditional Leaded Light Maker all his working life, over 35 years. He started at the age of 16 and spent over 8 years learning all aspects of the trade. He spent time training in both the workshop and on site and has worked on hundreds of churchs and listed buildings all over East Anglia.